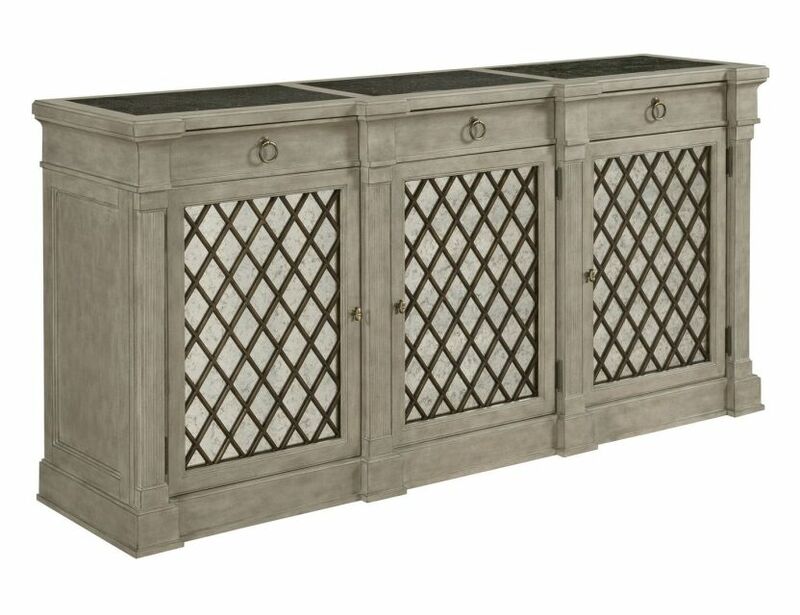 Colette credenza is exquisite with the moulded fretwork pattern in the doors and a great serving piece with the inset bluestone top. Lot's of storage with three doors, three drawers and two adjustable wood shelves behind each door. Complete your setting with this spectacular piece.